It is that time of year again. Lights, Christmas trees, wreaths, and Christmas songs, because it cannot be the Christmas season without the music. Sony’s Legacy Recordings has put together a Christmas album full of songs from the ‘80s, and appropriately titled it The Classic Christmas ‘80s Album. It features an assorted cast of successful ‘80s talents, including Whitney Huston, Run-D.M.C., Hall & Oates, The Pointer Sisters, and many more covering such Christmas classic as “Do You Hear What I Hear?,” “Jingle Bell Rock,” and “Run Rudolph Run” to name a few. Opening up the album is the new wave band The Waitresses of “I Know What Boys Like” fame. Their Christmas song, “Christmas Wrappings” has classic written all over it. The song has a nice blend of modern and traditional and it is just so catchy and infectious from the very beginning. Patty Donahue’s vocals are beautiful. It is the perfect pop/post-punk holiday song. Following it is another fantastic song, “Last Christmas” by Wham!. The sound is light and festive, making it a great choice to celebrate the holidays with. George Michael brings his A-game on here, and it is easy to see way this song has been covered so many times over the last three decades. Next up is The Bangles’s version of the Simon & Garfunkel’s “Hazy Shade of Winter.” I like it, as it is very good rock song with lots of energy and edge, but it is not much of a Christmas song. One of the albums standouts is Run-D.M.C’s “Christmas in Hollis.” It is a wonderful party song that is full of Christmas spirit, and it is not a ‘80s compilation album without some hip-hop, and who better to represent that than Run-D.M.C. It is the right song to liven up any Christmas party and should be on everyone’s playlist. Hall & Oates give very solid and respectful rendition of “Jingle Bell Rock.” Whitney Huston’s version of “Do You Hear What I Hear?” makes a good case for best single on the album. Her beautiful and powerful voice is stunning, memorable, and leaves a lasting impression after the song is over. Billy Squier’s “Christmas Is The Time To Say 'I Love You’” has a nice rock edge to it and the energy from the crowd is electrifying. It definitely makes for a good song to get everyone singing along to. Dave Edmunds’s “Run Rudolph Run” is pretty solid, but I prefer the Chuck Berry version. Next up is “Zat You Santa Claus” from Buster Poindexter and His Banshees of Blue which adds a nice touch of jazz and lounge music sound to the album. The Pointer Sisters’ version of “Santa Claus Is Coming to Town” is the best song on the second half of the album. It is a fun, energetic rendition with great vocal harmonies. Roy Parker Jr.’s “Christmas Time Is Here” is a calm and pleasant song. The fictional comedy duo of Bob and Doug Mackenzie give their special take of “The Twelve Days of Christmas.” It is a fun and silly song that sounds like something your drunken relatives might start singing after too many glasses of spiked eggnog. The album hits a speed bump with “This One’s for the Children” by The New Kids on the Block. It is overly sentimental song that does not belong on this album. It is not a Christmas song and not a good song in general. Fishbone’s “Slick Nick, You Devil You” is another one that I did not care for. The tempo is too slow and I do not like the clapping. The Hooters finish the album off with “Silent Night.” It is solid version of a Christmas classic and a good choice to bring everything to a close. The Classic Christmas ‘80s Album is great album for the holidays. The selection is varied and strong with only a miss or two against it, making for a high quality album. This is good because it makes the ‘80s nostalgia trip an added bonus instead of its only selling point. 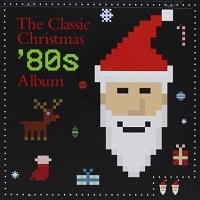 You cannot go wrong by adding The Classic Christmas ‘80s Album to your collection. You might even find yourself with some new holiday favorites. Key Tracks: Christmas Wrappings, Last Christmas, Christmas in Hollis, Do You Hear What I Hear? 06. Do You Hear What I Hear?